MP Patwari Syllabus And Exam Pattern 2017 And All You Need. Patwari Requirement Notification is out for total 9235 Vacancies. The aspirants must be curious about syllabus, exam pattern and selection procedure for MPPEB Patwari 2017 exam. 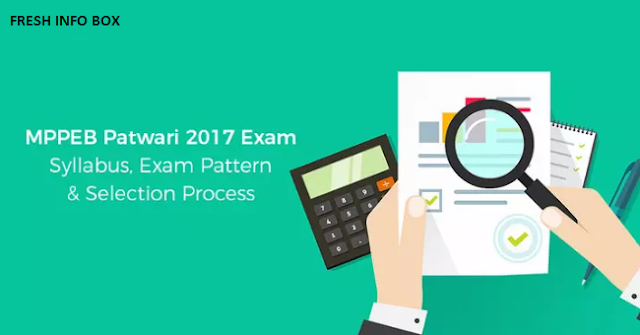 This article will give you complete information regarding MP Vyapam Patwari Syllabus, Exam Pattern & Selection Procedure of MPPEB Patwari exam 2017. Have a look. Edited: Now you can find study material in Hindi for MPPEB Patwari Recruitment Exam 2017. We're providing (एमपी पटवारी सिलेबस व परीक्षा पैटर्न) MP Patwari syllabus in Hindi for the candidates who find the post bit tough in English. Just go through Hindi syllabus & let us know what study material we can provide you in Hindi for MP Patwari Exam preparation. Moreover, now you can also download PDF of MP Patwari question papers with answers. Paper will be in online mode. MPPEB Patari written exam comprises of 5 subjects mentioned in the below table. The exam will be conducted for total 100 marks. There is no negative marking in the exam. Have a look on the detailed syllabus of each subject of MPPEB Patwari 2017 exam. MPPEB Patwari exam will be conducted in the written mode. The selection will be based on the written exam. Only those candidates will find their names in the merit list whose score is at least 50 % Marks (General) and 40 % Marks (Other Categories) in the written exam. A merit list will be prepared according to the marks of the candidates. You can check out the MP Patwari eligibility in case you haven't yet.